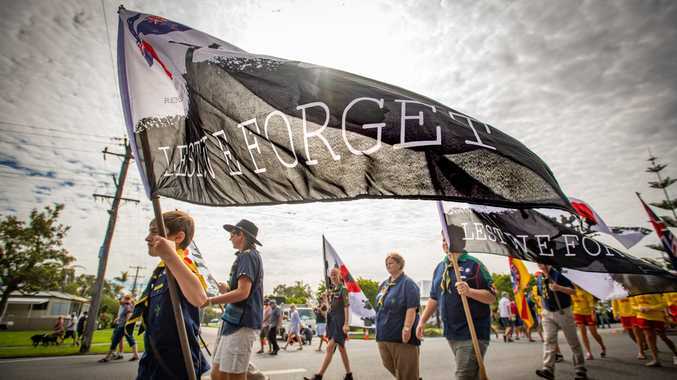 PROTESTERS have urged the State Government to protect the environment from the burgeoning blueberry industry, which they say is virtually unregulated. They met outside the government offices on the corner of Gordon St and Park Avenue and highlighted multiple incidents of fish kills, large scale clearing and water extraction asking the relevant departments to act before it's too late. 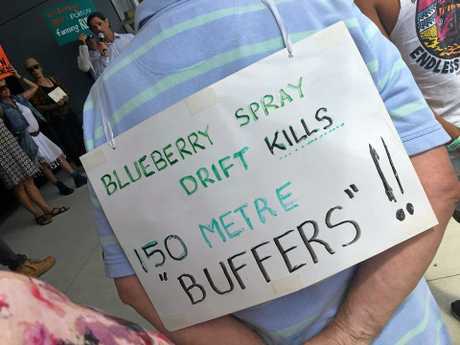 Many people expressed their fears for public health, with one protester wearing a sign that read: Blueberry spray drift kills. 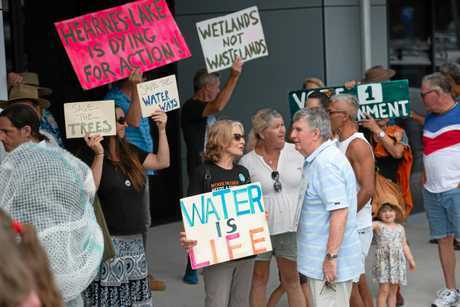 Former Coffs Harbour City councillor and ecologist Mark Graham addressed the crowd outlining a range of concerns. "This is having a major impact on the health of our people and on our environment," Mr Graham said. "Major swathes of internationally significant bushland have been cleared. We've seen where water resources have been stolen from the public. "Hearnes Lake is practically dead. It was once one of the most important kidneys of the Solitary Islands Marine Park." In light of these concerns he has questioned the pre-selection of Gurmesh Singh, a former chairman and founding director of the Oz Group Cooperative, as the The Nationals candidate in this weekend's state election. "He has an unresolvable swathe of conflicts of interest," Mr Graham claimed. "Catchments are running dry and the drains from blueberry farms are loaded with a phenomenally troubling array of toxic pesticides." He also questioned the sustainability of the industry where there is already what he describes as a glut. A number of candidates in this Saturday's election were at the rally including independent Sally Townley. "We are asking for the government to A: enforce the rules that they've already got and B: come up with a rule set that is currently lacking," Dr Townley said. "There are a number of best practice guidelines but they're not being followed like with banks and we've seen how well self-regulation worked there." She also questioned Mr Singh's links to the industry. "Mr Singh is up to his neck in conflict of interest. After taking millions of dollars in grants for this industry it's impossible for him to have our best interests at heart," she said. 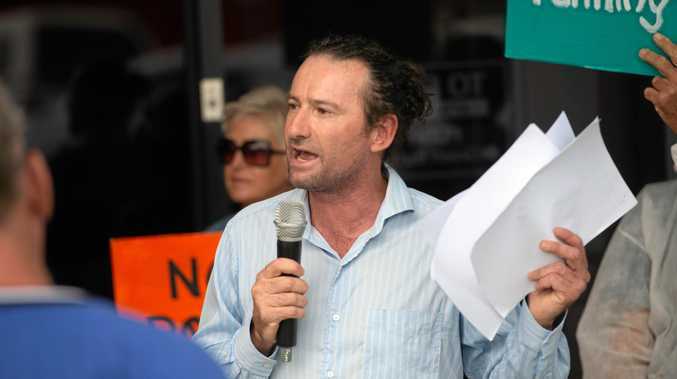 Labor candidate Tony Judge was also there and said it was a basic human right to know you're living in safety while Greens candidate Jonathan Cassell said state government departments have been compliant in allowing the industry to operate and expand virtually unchecked.